This mod adds a set of tools to create NPCs with different roles or jobs and other functions. It gives Creative Players a way to liven up their world with fully customizable NPCs. Custom NPCs is dedicated for those who want to increase their creativity level, so if you are not a creative person you can try this but I can’t assure you that your Minecraft world will become something unique. 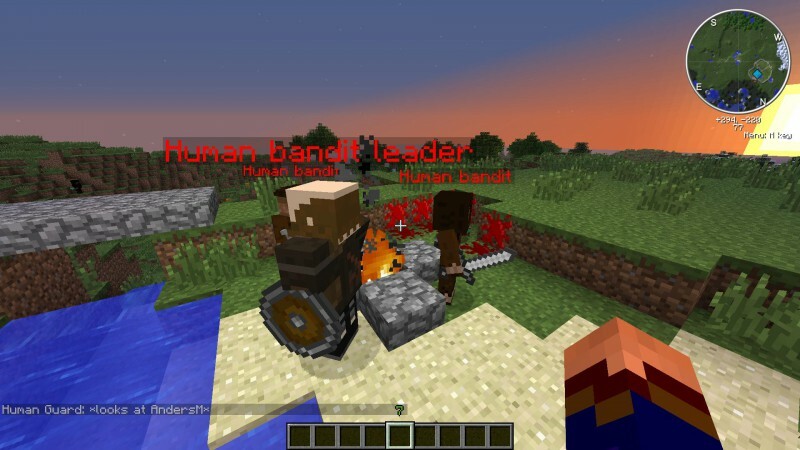 Installing this mod will allow you to add as many None Player Characters as you want into your Minecraft world and you will be able to give to them tasks or jobs. For example, you can create a NPC who is going to be the mayor of your town or you can set some NPCs to be the police of the town with the purpose of protecting the town.